A varied short story anthology. What a wonderful collection of short stories. They manage to be thought-provoking, engaging and entertaining. Overall they were quite disturbing, exploiting the darkest corners of the human mind, and really got under my skin. Some struck me as almost psychedelic and/or nightmarish. They were not only quite philosophical but also just plain insane and my oh my there were so many types of insanity. 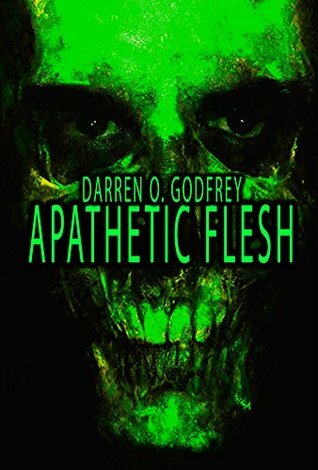 As in all anthologies there were stories I liked better than others and there’s always the feeling of disappointment when I finish a story that is just too short or unresolved, but if you are a fan of the genre and don’t mind your mind being turned into jelly I am sure you will enjoy this. Mae is lucky enough to get a job in a major company. Soon she will find out that the job comes with strings attached. This was a thought-provoking story about the impact of the media in our daily lives and how far our employers may demand us to go. However, the main character was extremely bland. When the agenda becomes clear, she completely loses interest, providing one or two word replies and relinquishing any sense of personality. Some things did not seem plausible and the ending felt rushed but this is definitely a frightening glimpse of the future because it feels like it could be real. This is free on Audible and I enjoyed the narration so I do recommend it. 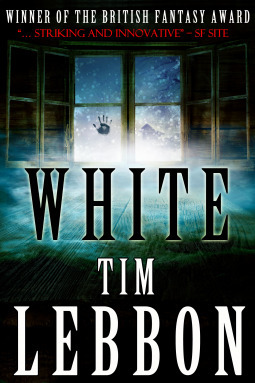 Several people are trapped inside a manor while outside the world changes. The snow is relentless and it seems that someone may be hunting them. 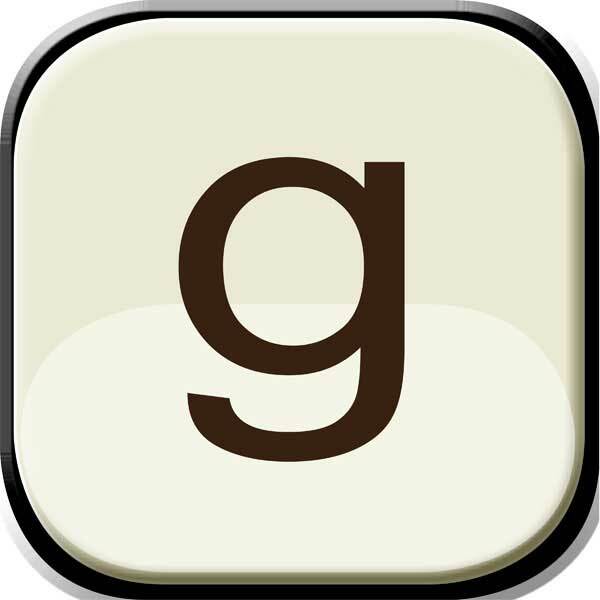 White is a very bleak, end of the world novella. For the most part, I felt the prose engaging. Some descriptions were beautiful, even if sad. As events begin unfolding, I thought it odd that the main character would not be more horrified,but on the other hand it makes sense if you consider the resignated frame of mind he was already in by that point. Still, I wish I could have felt more connected to him and the other characters. Some things did not make much sense though, like how it was possible to walk so many hours and not be attacked by one of the whites or why claim Hayden was poisoning them when they never showed any signs of feeling sick. I could not help feeling disappointed about the ending but I suppose it was fitting. White is not a tale for everyone. There is horror, sadness and despair, and hope and happiness are distant notions. If you feel you can deal with the desolate feeling it will imbue in you, I recommend it. A sci-fi short story anthology. 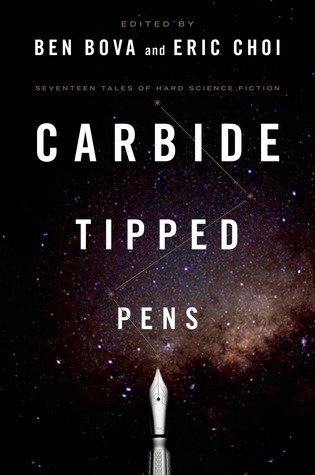 This collection is supposed to feature some of the best sci-fi short stories by non professional writers, supported by illustrations by promising artists and I have to tell you it does not disappoint. It is just a shame that I could not view them in all their splendour in my Kindle Paperwhite as they seemed truly amazing. The anthology opens with a bang. Switch was amazing, easily a five star story, even though at some point there was too much action for my personal taste. The main character’s development was superb and the world created here blew me away. I would really love to read a full-length novel of this. Unfortunately it seems even though the author has written it he has not had luck having it published. The writing is right up my alley. The author does not waste time with unnecessary flourishes nor long winded details and yet is able to paint the picture so clearly, grasping the reader’s attention. I was truly impressed. I absolutely loved the sci-fi stuff, the complexity of the character, the fast paced development of the narrative and the touching, bittersweet ending. It is impossible that the author of The Dog Whisperer has not seen Cesar Milan’s show, of which I am a huge fan. What a witty story! Such a wonderful play on it, not just the title. It is so wonderfully, quirkily believable, with an Alice in Wonderland sort of feel. So short and yet so satisfying. Full 5 stars as well! Stars That Make Dark Heaven Light by Sharon Joss is probably the longest story of the bunch and it stands well on its own. Humans colonising other planets and genetically changing to adapt is not a new concept but this novella takes it to a new level, with Darwin quotes on the spaceships and several other particularities. I have to admit I did not see the development coming and while I began by twisting my nose at it, I opened my mind to it and you know what? It’s great sci-fi. I am still not entirely sold on some things but as a whole this story was very well achieved. 4.75 stars. Art was, in my opinion, unnecessary. A clinical article such as this has no room amongst short stories. Perhaps as an introduction to the anthology but never here. I found it boring and out of context. When Shadows Fall did not impress me in the least for quite a while, other than the fact that it portrayed an Earth more ruined than I had ever read about. I didn’t even know how people could survive in such conditions and I had trouble remembering the characters. In the end it turned out to be a story told in the way of a parable, about greed, past offences, what it takes to get past them and who is willing to get it done. Quite beautiful, really. 4.25 stars. A Revolutionary Guide to Practical Conjuration was not one of my favourites. I did not much care for the characters or story. Every time it seemed it was about to get interesting, there was a lot of info dumping. I liked the idea of an interactive book but that was about it. The character evolution did not make sense to me either, as he never seemed particularly bright, which the plot twist near the end required. I didn’t get the ending. So the Demon goes back to the book but it seems it keeps doing what Abe asked because bones were delivered to what’s their name. That means it will be free again when everything Abe mentioned is done, right? Meh. 2.5 stars. Twelve minutes to Vinh Quang was surprising! The story had a tense build up which culminated quite unexpectedly – for me, at least. I loved how the sci-fi gadgets were introduced noncommittally and how the characters’ roles progressively reversed. I even loved the old lady. It was a very entertaining story without superfluous flourishes but which still managed to feel complete, well put together and very real. This is a great example of great sci-fi, when a story is obviously futuristic but you feel like you could be there and all that stuff could be happening. 5 stars. The idea for Rough Draft told in the author’s bio was almost more interesting than the story itself. The fact is it asks for quite a lot of suspension of disbelief. We are presented to a world where travelling to parallel universities is normal and I felt I did not get a solid enough foundation for that. Also, as intricate as it seemed to be to the society, the law system sure didn’t make sense. Between Screens reminded me a bit of A Clockwork Orange, oddly enough. A group of kids with their own language up to no good, skipping around in Space. Half Past was a lovely short story, very well written and with an interesting premise. Externalising strong emotions in such a way is so clever! The plot twist was surprising but it did not quite fit in the rest of the story for me. If Elizabeth says Echoes stick to the same place and are stuck in time, how come she gets to roam around the entire house and premises and interact with other Echoes while they seem so isolated? Also, is she perpetually about to leave but never does? How does she account for that? I can’t even imagine what that father must have felt like, stuck in a house with those crazies for so many years. It was still a wonderful fantasy tale and I give it 4 stars. The Illustrators of the Future is a text about the importance of illustrators and more self-praise to the anthology. Wisteria Melancholy features such a curious notion – that when people are emotionally disturbed they experience morphological changes. The concept and context was introduced very well, no info dumping, all very natural. Then as it developed I lost a bit of interest and I can’t even really tell you why. It’s like there’s this concept that is so cool that I wish more had been done with it and that even though it depends on the characters being emotional, how it was done was just not appealing to me. Much like the ending, it left me wanting. Also, I would have liked to see or at least hear about more morphological changes – invisibility is so overdone at this point. On the Direction of Art, along with the other two texts, is what makes me want to bring the rating down even more. I just feel that these texts have no place in such an anthology. 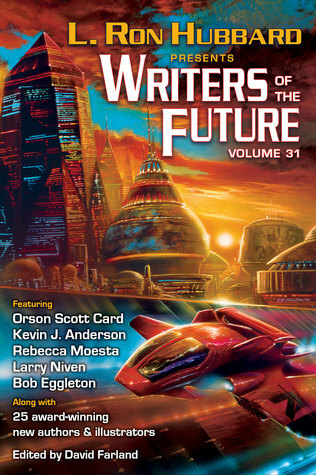 In my opinion, self-gratifying eulogies along with essays on the importance of reuniting writers and illustrators of sci-fi and fantasy are fine on the back cover, introduction and/or as a way to promote the anthology, but taking up space in itself just feels unnecessary and redundant. Overall I enjoyed the short stories quite a lot and it has got to be one of the best collections of the genre I have read. A hard sci-fi short story anthology. This collection started off really well. The Blue Afternoon That Lasted Forever was a touching story about a single father who is an astrophysicist. It had a near perfect balance for me of a good sci-fi plot and characters. The second story was heavier on the sci-fi and all about the plot. A Slow Unfurling of Truth takes place in a time where people can switch bodies, using them up in the process. I felt the world setting required something lengthier than a short story could provide, and I was never really enthralled by it, often times lost. The ending left me lacking as well. Sadly, I could not appreciate Thunderwell at all. When I first started reading it, it sure sounded a lot like the book The Martian, by Weir. A bunch of astronauts on their way to Mars, supplies being sent ahead, etc. When I found out what the plot was headed all my interest when out the window. Seriously, a nuclear powered slingshot? Or cannonball as the author put it. That premise is just so silly that I could not take the story seriously no matter how accurate the science was. The writing was unappealing and even irking as well, particularly the fact that the author kept saying the two main characters showed no emotion, over and over again. So yeah, probably my least favourite one of the bunch. I don’t know the first thing about baseball but Old Timer’s Game was fun because it is one of my favourite kind of stories – the ones that really have you convinced something like that could happen. Snows of Yesteryears is a story about climate change and greed. There was also an air of mystery around the two main characters that I appreciated. It was ok, not going to stay in my mind for long. Skin Deep had a very interesting premise. The idea of getting automatically regulating medicine being tattooed into you is quite mind-blowing. Imagine having a certain allergy that, when coming in contact with you, your body would trigger the adequate response to it. When it all goes according to plan, that is. I am not sure why that did not seem to be any heterosexual relationships in this world, but the development of the story was gripping and the twist at the end topped it off well enough. Lady with Fox‘s writing was awkward. Something about the phrasing and punctuation, I don’t know. It lost me all the talk about k-fibers and whatnot. The basic premise in this world is that people are able to konn-ect while dreaming, leading to a very interesting experience, so they say. There was a hint of mystery throughout the story that I appreciated but I missed too much to be able to enjoy it and after so much build up I have to admit I was disappointed. Insect gastronomy was interesting, though. Habilis was a story almost entirely composed of dialogue which varied between two timeframes. I suppose it was meant to give the story some dynamics but since during both times I kept reading about the same two characters carrying out pretty much the same actions I was constantly confused. The Play’s the Thing is a really short one but to the point, about artificial intelligence and greed. It was quite enjoyable, although the AI sounded off to me, and the ending definitely surprised me. Every Hill Ends With Sky was another of those just ok stories. It also narrates two different times and I had no clue how one world led to the other, so I felt like the story did not have much development at all. The ending was too bleak to be hopeful. She Just Looks That Way was more up my alley because it was a character-driven story. Although it was all a tad bizarre – both the crazy woman and the crazy willingness to risk blindness in order to get over her – and sappy, I was moved by the morale of the story. SIREN of Titan was an excellent approach on sentient machines. I thoroughly enjoyed the duality of how SIREN was perceived and how she actually felt. The ending was very touching. This was a near perfect short story. The Yoke of Inauspicious Stars was disappointing. What could have been a pretty cool sci-fi story was smothered by a Romeo and Juliet bad adaptation, where every now and then poetic lines would enter the narrative in a rather awkward manner. I wish certain aspects of that world would have been further developed, particularly the link between the technicians and the miners – I never understood why or how it worked like that, so intensely. Ambiguous Nature was ok. Mankind’s search for intelligent life and prime numbers being proof of such is not new. There was an interesting twist to it and the addition of a child character made things interesting as it usually does, but overall not a memorable story. The Mandelbrot Bet was quite surprising. I am not sure if it was exactly believable – the communication part at least – and the ending was quite bleak but I especially loved the dialogues, the intonation of the entire conversations; it was a very engaging, personal dynamic that softened all the hard theory. Recollection was so sad and so real. In a world where Alzheimer’s can be cured but the past’s memories cannot be restored, a man and his family struggle to deal with this new situation. The tension is palpable and you feel for everyone in the story. So, the final verdict. This anthology started out really well for me and there were some true gems in there, as well as an abundance of food for thought. However, during most of the rest of the tales I felt a bit lost due to it being really hard sci-fi and/or the writing style in some of them being truly off putting. I do believe there is something for everyone’s taste here, as it addresses a very wide range of the sci-fi scope. In the end, I believe fans of hard sci-fi will enjoy this a lot more than I did. I however need more than interesting science to grab my interest. Unfortunately, too much of this anthology felt like info dump and not nearly enough engaging story weaving for my personal taste. A creepy short story anthology. This has got to have been one of the first books I requested from Netgalley. I am not sure why it sat on my virtual shelf for so long. Maybe it was the amateur cover or I was just not in the mood for short stories – which I have to admit I seldom am. Alas, I picked it up and I have to admit it was quite intriguing. I also have to admit I am surprised there do not seem to be barely any reviews about it anywhere. This was actually pretty good. The stories are linked by comments which I am not even sure are real or not but definitely sound that way, which of course is extra creepy. This is a very particular kind of horror. I for one had never read anything quite like it. There is a generous amount of gore but most of all plenty of mystery and psychological horror. 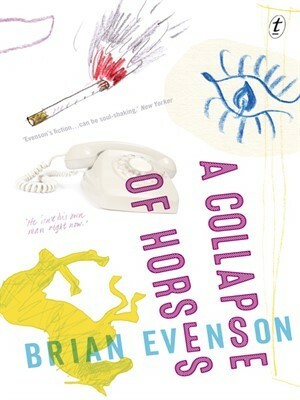 The narratives built up suspense at a steady, nail-biting pace and several ended in crafty and mesmerising plot twists. Both the characters and the situations they were in were quite unique. The prose was, for the most part, very engrossing, even if it lost me at times. The author definitely has a way with words, though, and I was quite enthralled during some of those tales. Alas, at times, I wasn’t sure what to make of the stories. The blurb says they are about normal people but I have to tell you, some of those main characters did not strike me as very normal, least of all their reactions. So I guess you have to put that aside for a bit, that ‘how would a normal person react in this situation?’ and go with the flow. That did bring an extra macabre edge to the stories. So even though I didn’t enjoy all of them greatly and did not even understand some, I have to admit it was a pretty cool ride. It’s quite good, I recommend it to fans of horror and short stories. This is a short story anthology which gathers all sorts of science fiction tales, particularly with post-apocalyptic and cyberpunk twists. 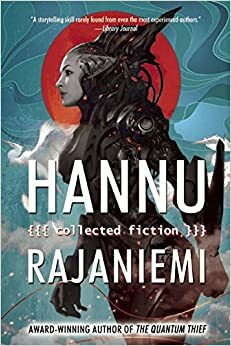 I had never read anything by Hannu Rajaniemi nor by anyone finnish, as far as I know. I loved reading about all the finnish snow, saunas, swearing, myths, and all else. It’s also been a while since I read any short story collection, so this was a very refreshing read in more ways than one. The formatting was pretty good! The only thing I can recall is that in Tyche and the Ants some dialogues were not properly identified with a hyphen or inverted commas. Any other mistakes were so subtle I either didn’t notice or did not care. The main issue I had with most stories was that I had a very hard time understanding what I was reading, as most of the concepts were unfamiliar to me. I am not a hard sci-fi fan or even connoisseur so I felt lost most of the time and kind of wished there had been a glossary or something. However, the way Rajaniemi writes almost completely obliterated that feeling of not really getting what was going on. First of all, his opening lines. After so many books of blatant tell instead of show, these stories were the exact opposite. From the first line I could get a great idea of the setting and main character(s). Often times, it depicted a perfectly normal notion along with something utterly crazy (Before the concert, we steal the master’s head; The moon suit came back to Hazel the same night Pete was buried at sea; The night before Kuovi was supposed to fly home, the four of them went to bring back Bibi’s soul; On the day they finally got the Cathedral’s mermaid bone factory working, Kev told Raija he was not going to come back. ), and it would take the rest of the story to fully grasp what happened. Rajaniemi wastes no time setting the scene and getting the important information out in a completely natural way; previous information (backstory) is organically embedded in current sequences. He makes it look so easy and it really is not. He would then weave a tale which would at times lose me, but somehow was always able to grip me, right till the end, where he would baffle me with a plot twist. Not all the tales brought me the closure I had hoped. Some stories just seemed to want to show a world riddled with crazy, unbelievable stuff and for the most part I was fine with that. I read about godplagues, when humans wanted to be more than that and almost destroyed the world. Enhanced, sentient pets, all geared up, with prosthetics even, who will do anything to recover their master. A wannabe poet woodsman with a bear for companion (one who can talk and loves to drink booze). All sorts of crazy phone apps, like ones which can actually keep track of what you do, giving you a sort of popularity score, which will determine if you can get into places, for instance – and how about one that keeps liking the stuff you would like, even after you are dead? Then there’s stories which hint more on the fantasy/folklore side but never stop being sci-fi. Some are actually pretty emotional. I love it when a story makes me feel, which is particularly difficult with short ones. The Haunting of Apollo A7LB: The main character is an elderly woman who used to sew space suits, how cool is that? A quaint notion, granted, but it is the premise to a wonderful tale full of suspense which I really enjoyed. As in the other stories, no information is dumped, everything flows in such a fluid manner that I did not even realize I was getting back story. And then there’s these wonderful analogies (like her heartbeat sounding like her sewing machine, eheh) and things that come together in the end, and it is just a lovely, lovely ride and the ending was just right, coming back to our main character after such a great ride. Shibuya no Love: Not sure if it qualifies as a flash story, but it was really short and it is absolutely baffling that the author managed to convey such feeling into something that small. The concept of a device which can simulate an entire relationship in a matter of seconds or minutes blew me away. Un-freaking-believable. And that ending. Wow. Definitely did not see it coming, and it thoroughly reinforced the crazy speed at which things happen in that world. Skywalker on Earth might be considered a novella, not sure, but boy what a masterpiece. This is an Earth conquering story done right. And I loved how there were no obvious good guys. And then the author mentions creating, along with a friend, a story where the development entirely depends on how the person reacts to what they have read before – neurofiction. There are dozens of different paths the story can take. I thought that was sci-fi! So all in all this collection of short stories is very well achieved and, though I recommend it especially to hard sci-fi fans, I do think everyone can enjoy it to some extent. The worlds are complex, riddled with unique concepts, the writing is remarkable, and it was just a lovely, thrilling experience.